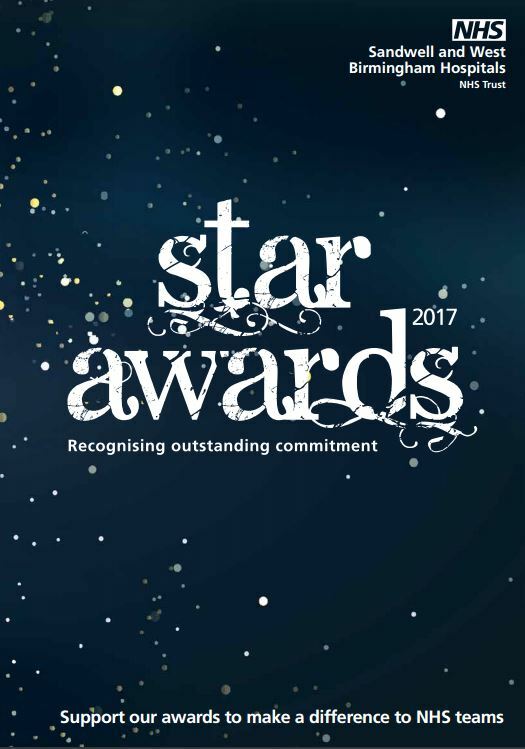 Sponsoring our Star Awards is an ideal opportunity for you to get involved and to show your appreciation for the hard working and dedicated healthcare teams who serve and support the people of Sandwell and West Birmingham. By becoming one of our sponsors you will be supporting the amazing work our teams do each and every day. You will have the opportunity to promote your company and build your brand awareness whilst supporting an extremely worthy cause. Sponsorship opportunities range from individual awards to the evening programme on the night and the option of bespoke sponsorship arrangements giving your brand a high profile whilst showing your appreciation for the hard working teams of Sandwell and West Birmingham Hospitals NHS Trust.